The Thoracic Surgery Education Program was started in 1949 and was developed under the leadership of Johann Ehrenhaft, MD, namesake of the Departmental Chair position. 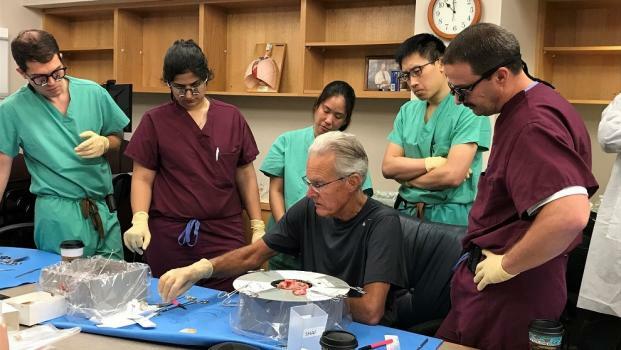 Throughout its history, the Thoracic Surgery Residency Program mission has been to train competent clinicians, encourage residents in their scholarly pursuits, and instill a spirit of hard work and diligence in the fight against chest disease. The Perfusion Technology Education Program started at Iowa in 1992. Our graduates are now spread across the country working in private hospitals as well as academic institutions. 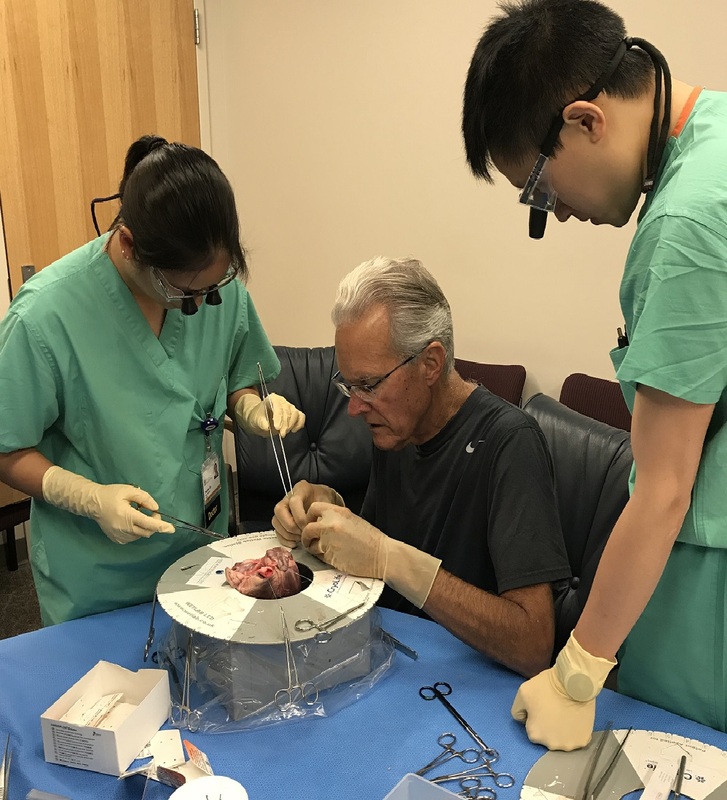 Our educational program starts with two semesters of intensive academic preparation and lab work taught by clinical perfusionists and university professors. This is followed by three semesters of clinical education conducted exclusively at University of Iowa Hospitals and Clinics. A four-week sub-internship in Cardiothoracic Surgery is available to University of Iowa Carver College of Medicine medical students. 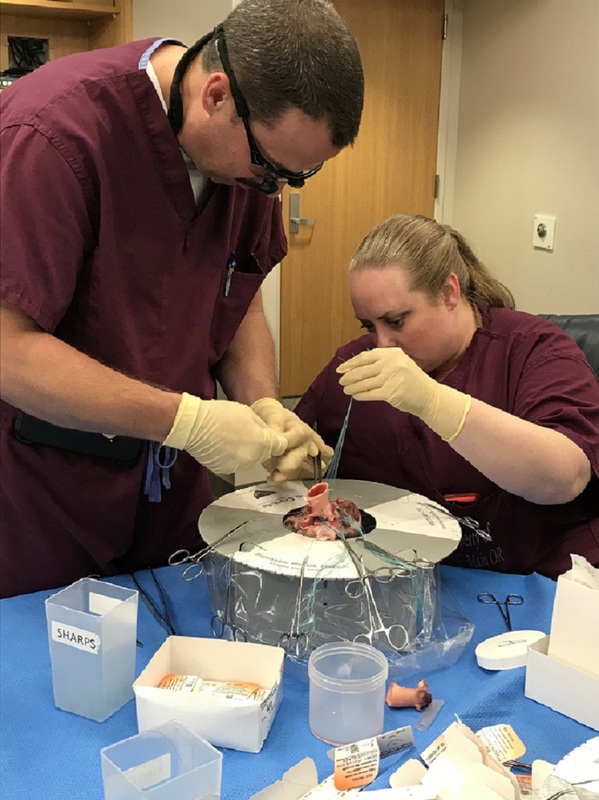 Students will participate in the diagnosis, preoperative, operative and postoperative care of thoracic and cardiac patients, and may concentrate their interest in either cardiac or thoracic surgery. Students will assume the responsibility of an intern and will be responsible for diagnosis and management of patients on an inpatient service under close supervision of upper level residents and cardiothoracic surgery faculty members. Students will also be expected to attend all scheduled conferences in the department. This rotation is scheduled through the University of Iowa Carver College of Medicine Department of Physician Assistant Studies and Services. We offer a 12-month postgraduate Physician Assistant and Advanced Registered Nurse Practitioner Fellowship Program that is linked to the only Cardiothoracic Surgery Residency Program in the state of Iowa. As a cardiothoracic PA or ARNP fellow you will have the opportunity to specialize in the field of cardiothoracic surgery while working alongside physician residents and seasoned clinicians at one of the top medical centers in the country. We are accepting applications for April 1, 2019, fellowship start. The application deadline is Dec. 14, 2018. The department will consider off-cycle applicants, please contact Kim Horras. Send completed application form, FellowshipApp - CT Surgery PA-ARNP.pdf. Summarize your training background, areas of particular strength and interest, and a brief description of how you would hope to utilize and apply your fellowship training. Also include three letters of recommendation—letters should come from those persons familiar with your recent training and current professional activities. Please instruct reference individuals to mail their letters of recommendation directly to Kim Horras at the address below. Cardiothoracic Surgery (CTS) offers a six-year integrated cardiothoracic surgical training program. Medical students apply directly to an integrated cardiothoracic surgery residency program. 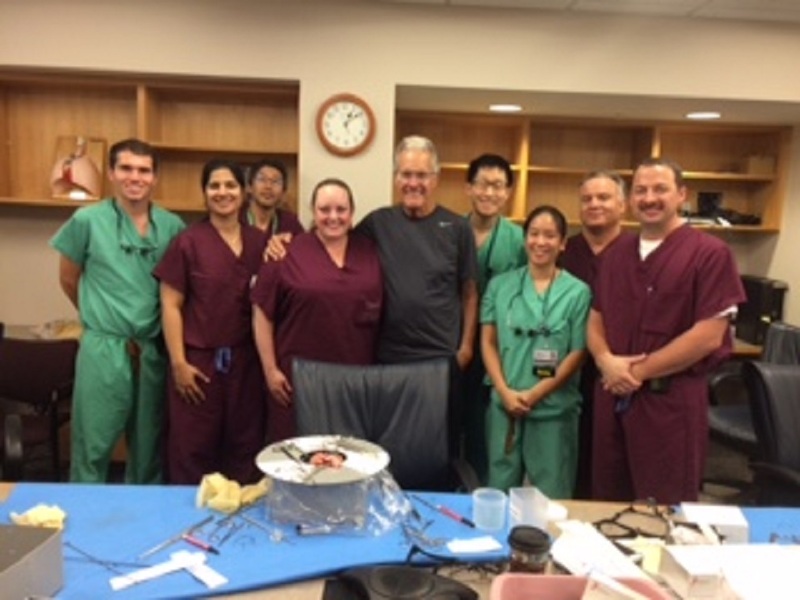 The objective of this training program is to provide a more comprehensive and rational total immersion into the diagnosis and management of all aspects of cardiovascular and thoracic diseases through multi-disciplinary training, including rotations in interventional radiology, interventional cardiology, endovascular surgery, oncology, and pulmonary disease. 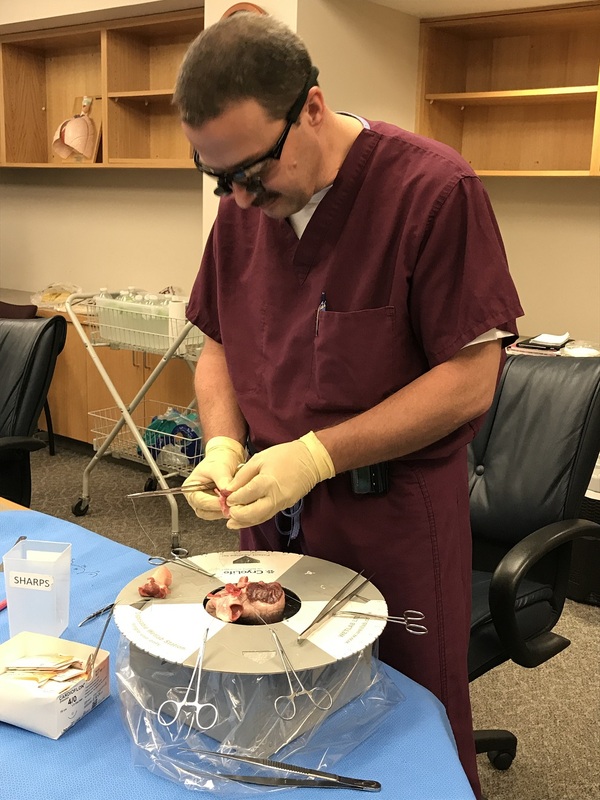 Integrated programs also allow for more training in new technologies such as robotics and minimally invasive approaches. This innovative program is centered on a streamlined curriculum focused on preparing its trainees to develop successful careers in an academic or private practice setting, or enter a specialized fellowship. 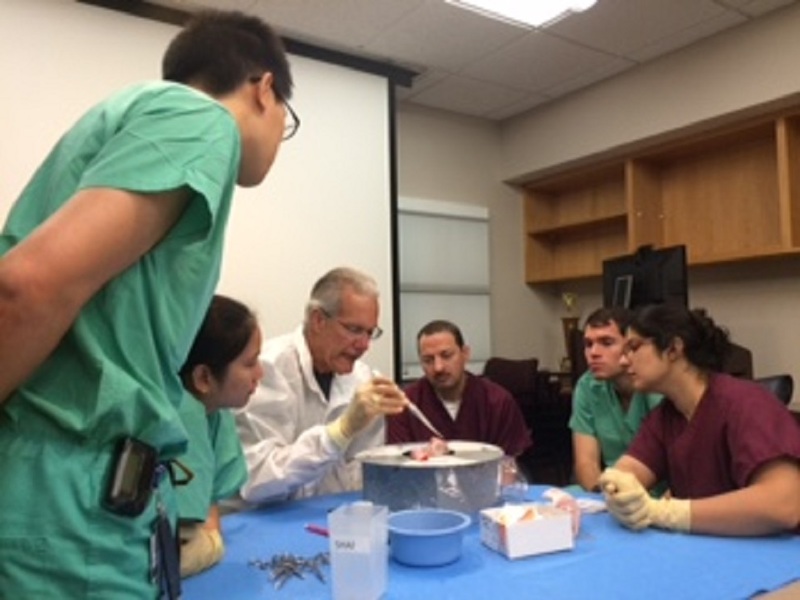 The CTS integrated program curriculum is flexible, offering pathways of emphasis in either cardiac or general thoracic surgery, leading to eligibility for the American Board of Thoracic Surgery (ABTS) certification exams (written and oral), but not for the American Board of Surgery (ABS). During the first three years of the program (PGY1 through PGY3), the cardiac pathway includes emphasis on vascular and endovascular surgery as well as cardiac catheterization, echocardiography, and cardiac electrophysiology; similarly; the general thoracic pathway includes emphasis on surgical oncology, interventional radiology, and foregut/esophageal physiology. The last three years of the program (PGY4 through PGY6) consist of intense operative experiences in both cardiac and general thoracic surgery, individualized according to the residents’ clinical interests, yet comfortably achieving ABTS case requirements for certification. At this stage, residents will also assume administrative responsibilities to derive experience in managing busy clinical services and organizing the educational curriculum for their peers. 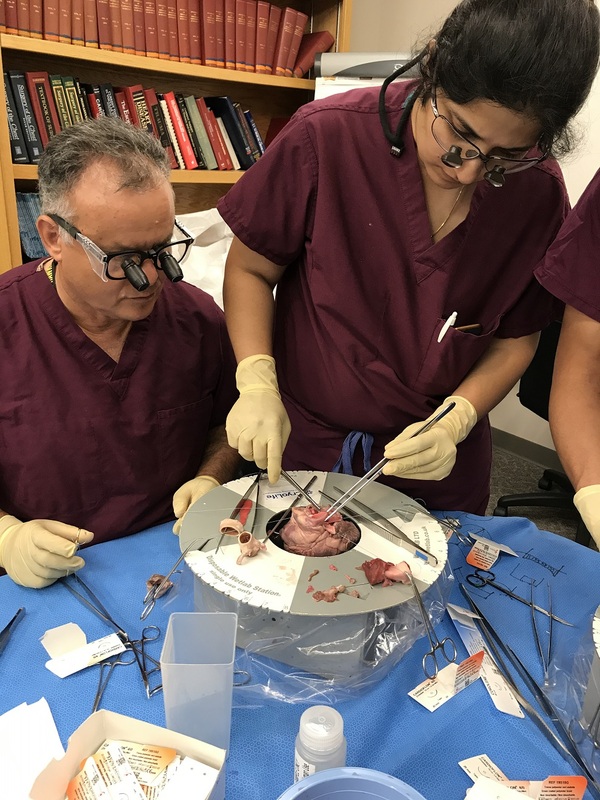 The ACGME-accredited Thoracic Surgery Fellowship is a highly respected, nationally-renowned program at the forefront of innovation and technological advancement in cardiothoracic surgery. We educate two residents per year in a two-year clinical program, with rotations in Adult Cardiac Surgery, General Thoracic Surgery, and Pediatric Cardiac Surgery. 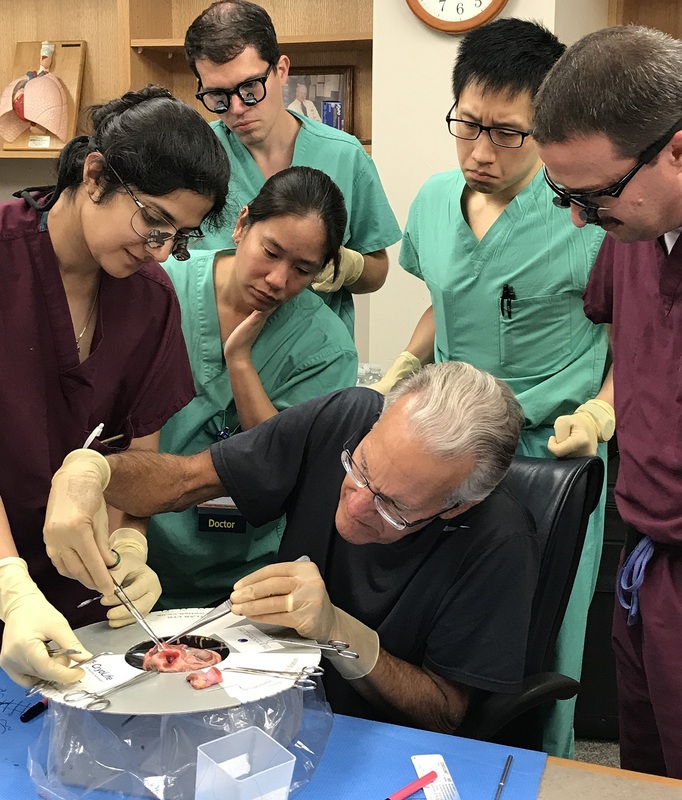 Through close supervision, the surgical staff provides teaching at each level with a well-organized program and continually increasing responsibility. 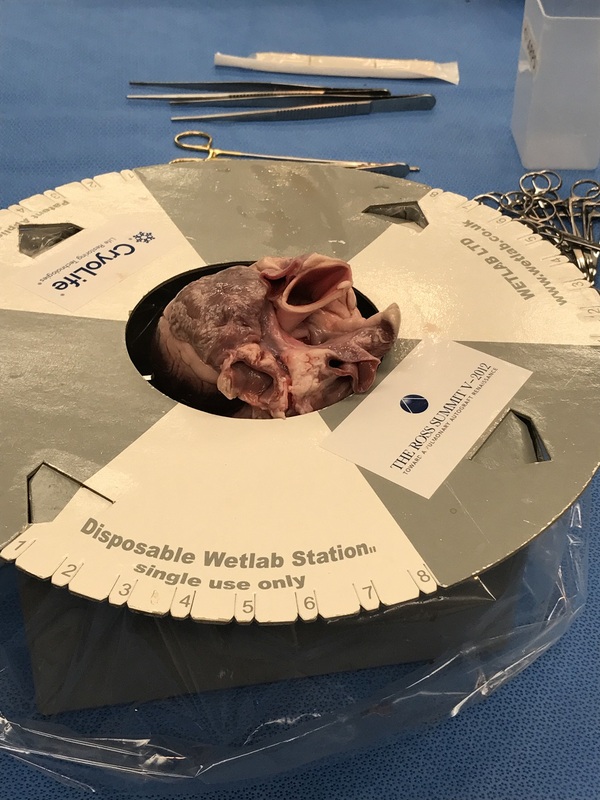 Our trainees are appropriately prepared for the American Board of Thoracic Surgery qualifying exams and graduates of this program are equipped to enter a specialized fellowship, private practice, or continue in an academic career. Over the past five years our most recent graduates have an 88 percent pass rate on the first attempt of the written exam, and an 86 percent pass rate on the first attempt of the oral exam. 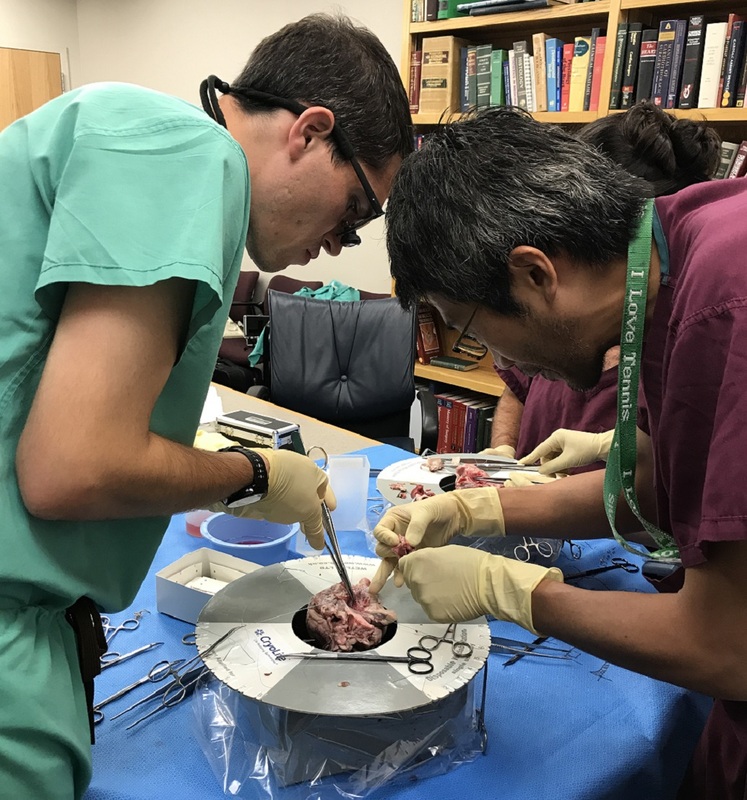 Learn more about the Thoracic Surgery Fellowship and Residency Programs through the Office of Graduate Medical Education.